Hanging out at Rosie’s Dog Beach we overheard a tip on another nearby Dog Beach and decided to check that one out. WOW were we in for a surprise. Huntington Dog Beach is beautiful!! 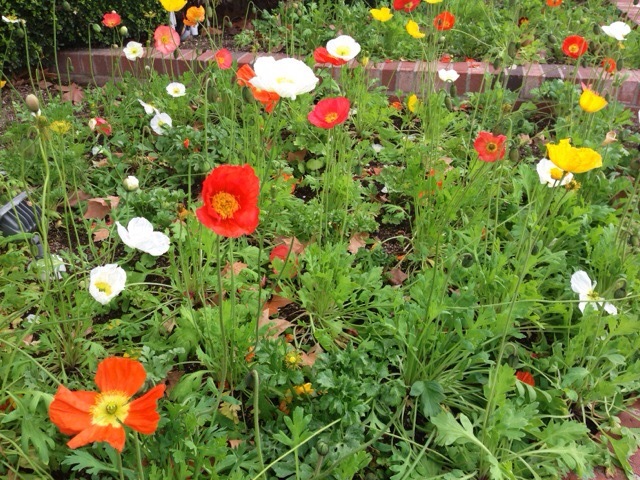 Plenty of metered parking along the main street, expansive area, powdery soft sand, gorgeous open view of the ocean and down to the Huntington Beach Pier. Really lovely beach for doggies and their parents! People seemed to be very responsible for cleaning up after their dogs, in fact I watched one desperate young buck take his SHIRT OFF out of desperation, due to the lack of a poop bag before I ran over and handed him a couple extra from my stash, now THAT’s a responsible dog owner! 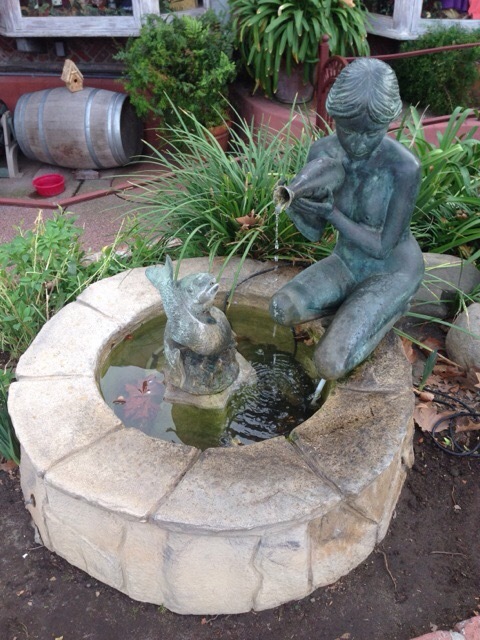 Lots of opportunities for doggies to socialize as well as quiet spots to sit back out of the action and relax. Elliott seems to prefer one on one’s. No annoying lifeguards or Beach Patrol personnel to deal with which is a bonus. 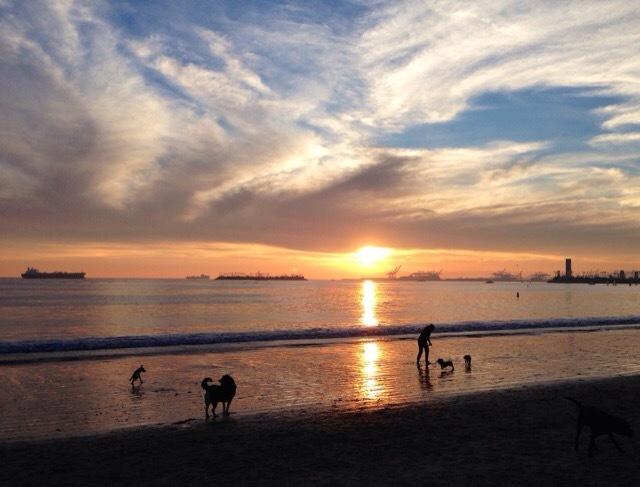 Living in LA where all the beaches are anti-dog is a major drag, but this beach is definitely worth the drive! On a subsequent visit we unfortunately witnessed a pretty brutal fight between two pit bulls (blame the stupid owners!) at close range, which was down right scary, so we decided to head to the far end where we had a little more space and peace. I think this Dog Beach is fabulous BUT after visiting several times now, I feel I must mention that it can definitely get overcrowded and taking into account that some humans are morons who don’t deserve the right to own a dog, you do have to watch your pup for their safety. 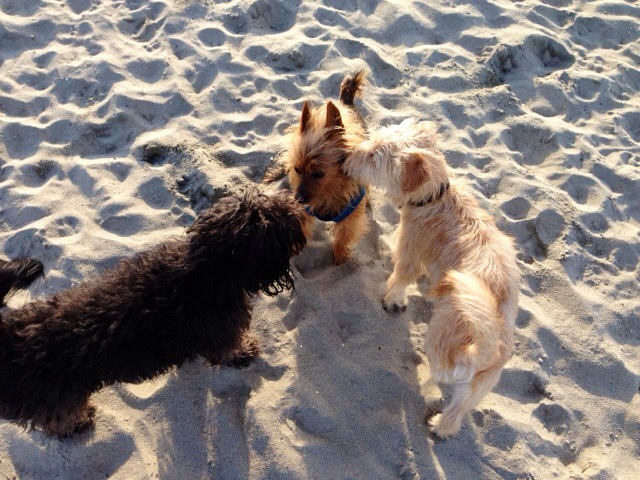 I can tell that Elliott likes to play with one dog here and there but large groups of dogs really makes him uneasy, so I think for us, it’s best to go on less stereotypical “beach days” or early/late on warm weekends. Annnnnnnnd….he’s done. Sand encrusted eyes and snout. My little man is ready to head back to the Nest. Another fun day in the land of the sun. 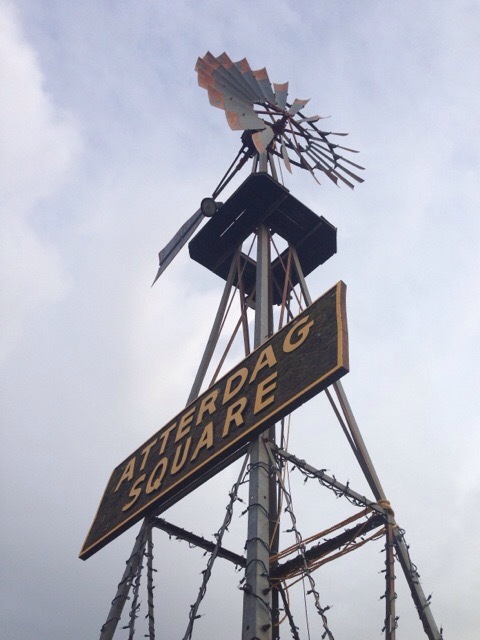 As you approach Buellton, you will see the huge billboards for Anderson’s Split Pea Soup and you will also see smaller signs for Solvang. 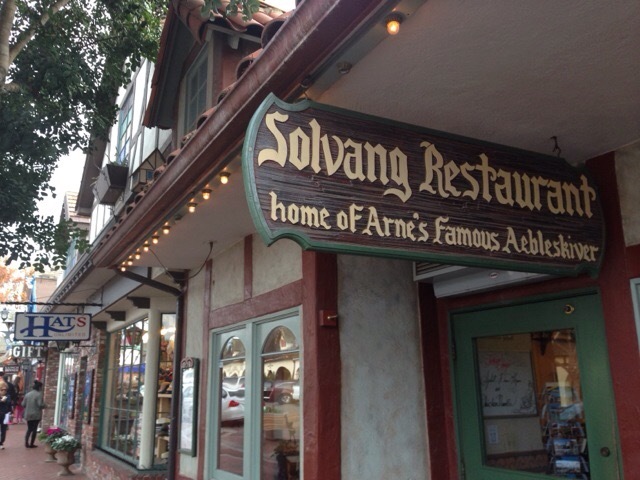 Can’t vouch for whether or not you should pull over for split pea soup but I CAN tell you with certainty that you should take 3 or 4 hours out of your day (or life) and explore the town of Solvang. 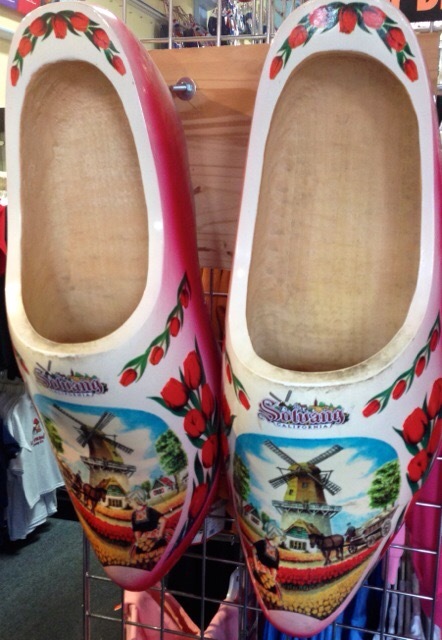 This quaint little Dutch village, founded by a group of Danes in 1911 is chock-full of shops, bakeries, restaurants and whimsical Danish architecture including some fantastic windmills to be seen around town. An open air theatre, a church and several hotels also add to the makeup of this community of around 5,000 people. 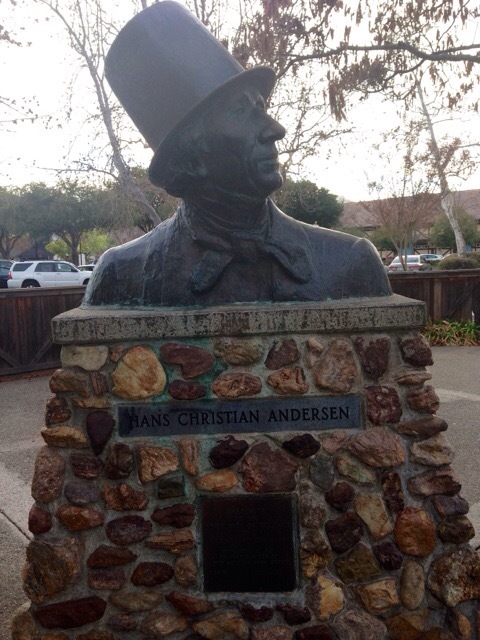 Statues of The Little Mermaid as well as the famed Hans Christian Andersen can be found in the little town park. Knick knacks and toys to chocolates, shoes and clothing. 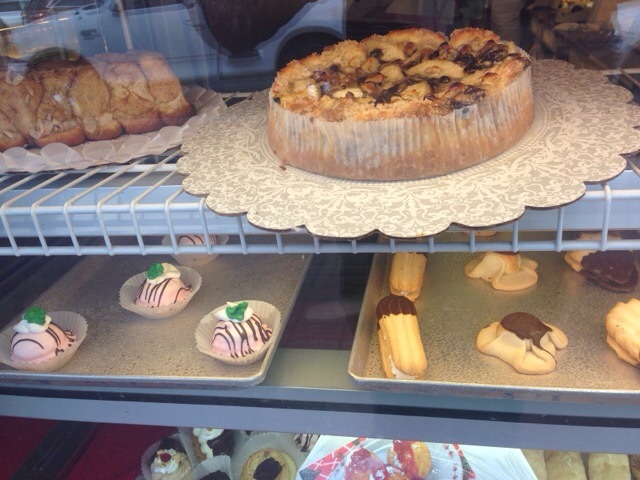 Stop into a bakery for an afternoon coffee and sweet. 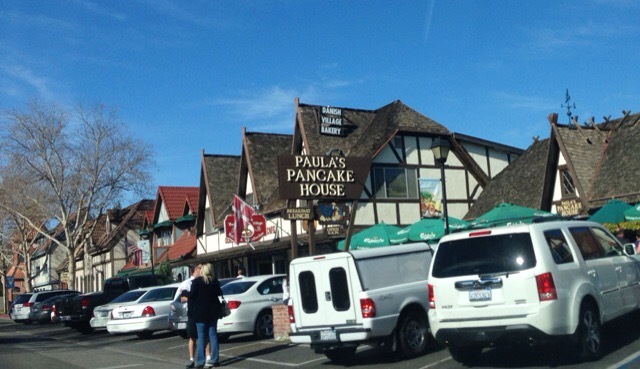 If you’re lucky, you be there while Paula’s Pancake House is still open! Unfortunately it closes at 2pm, so that will be my plan for my next visit!! So very glad I decided to take an exploratory detour!! An ideal stopover! 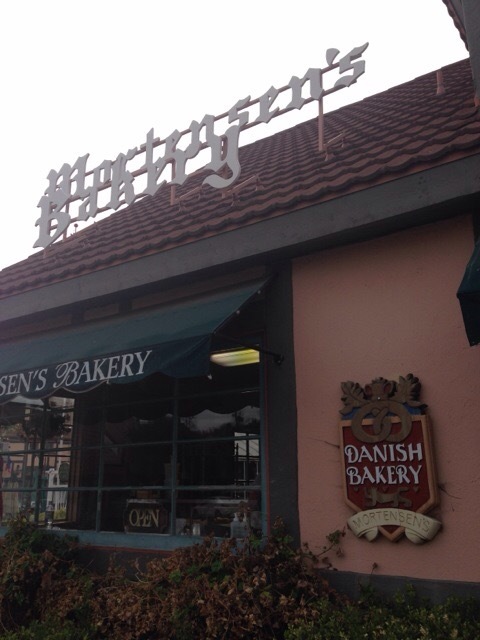 After a fun filled afternoon with Elliott at Rosie’s Dog Beach in the LBC, I was craving something yummy to eat. But what? 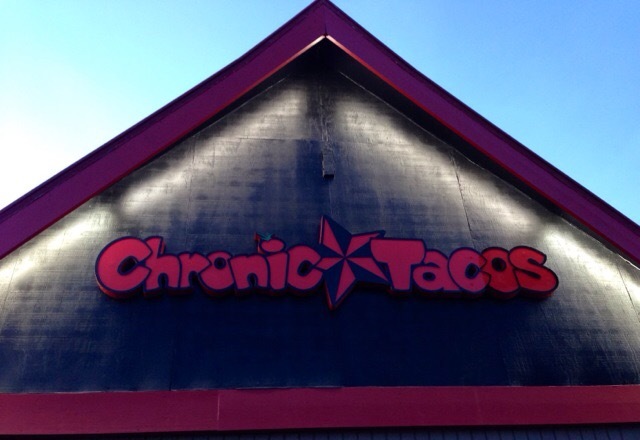 Driving and thinking, I glanced over at the graffiti-esque Chronic Taco sign that caught my eye and I knew this was the place! The miniature parking lot had one space left, thanks to my fabulous parking karma, and I zipped right in. I stepped inside this small taco joint that consisted basically of only a counter. Cool little place. Very laid back and friendly. As an indecisive first time customer, employee Jessica kindly assisted me in picking out something fabulous to eat. 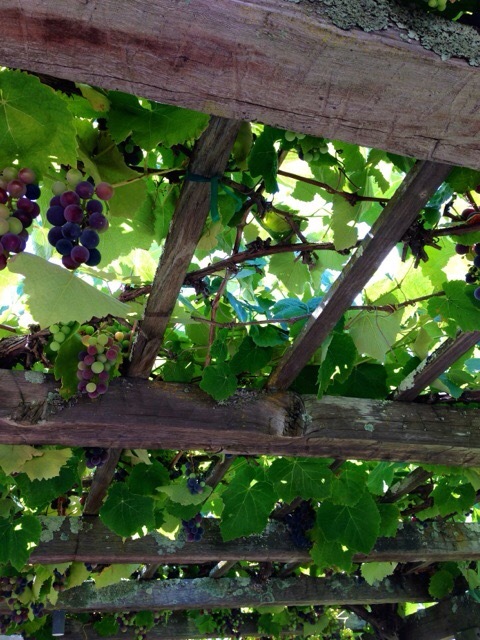 She asked me a few questions then guided me toward her favorite salad and boy was that a fantastic choice! Plump grilled shrimp, fresh lettuce and cabbage, rice, beans, cheese, tomatillo salsa, pico de gallo and chipotle lime vinaigrette dressing. And the verdict? INCREDIBLY tasty! I mean really good!! I actually inhaled my food before even thinking about taking a photo. Damn! Next time! All made fresh to order and fast too! Good tunes playing while I waited. A kind of rock n’ roll taco vibe going on. So glad the sign caught my hungry eye on my way home from the beach. Two thumbs up for this place!! 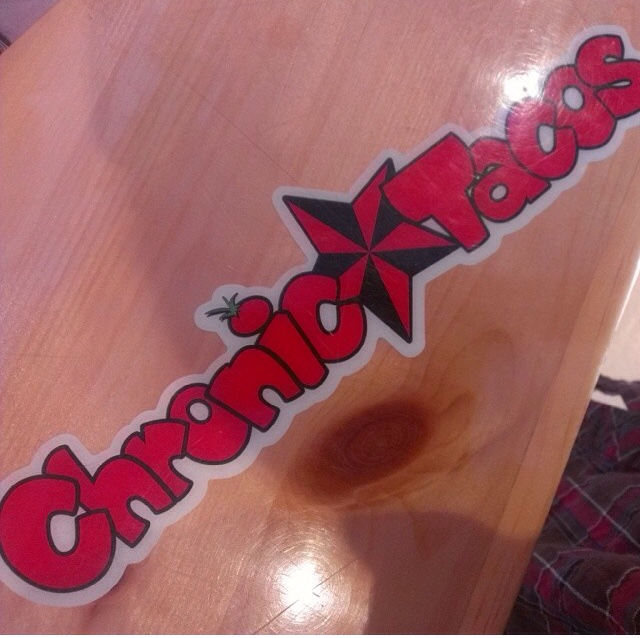 Note: this California based taco shop has a number of locations around and even does catering too. Pull over if you see their sign and dig in to the goodness. You don’t have to smoke any green or spend a lot of green to love eating here! 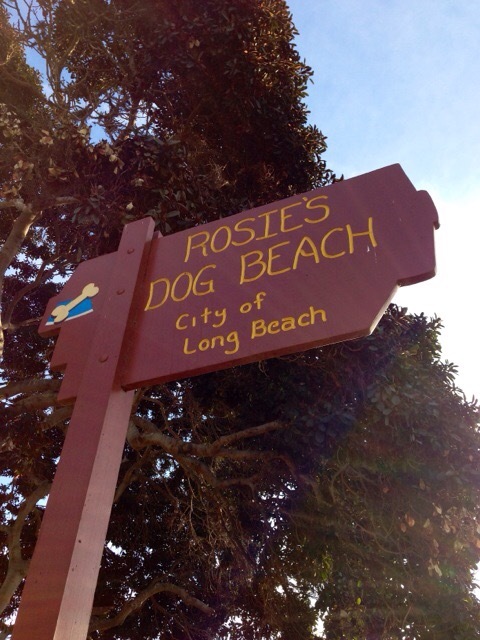 Thoroughly annoyed with all the Anti-Dog beaches of LA, someone suggested that I try Rosie’s. This little sandy playground for dogs in Long Beach is pretty easy to find, though the Beach Patrol guy was a bit weird about the fact that you can’t walk your dog along the beach path TO the dog beach? HUH? Doggy parents were cool and friendly, dogs were well behaved, everyone seemed to really be enjoying themselves. The area is rather small but perhaps a little less intimidating that the expansive and sometimes overcrowded (albeit beautiful) Huntington Dog Beach. 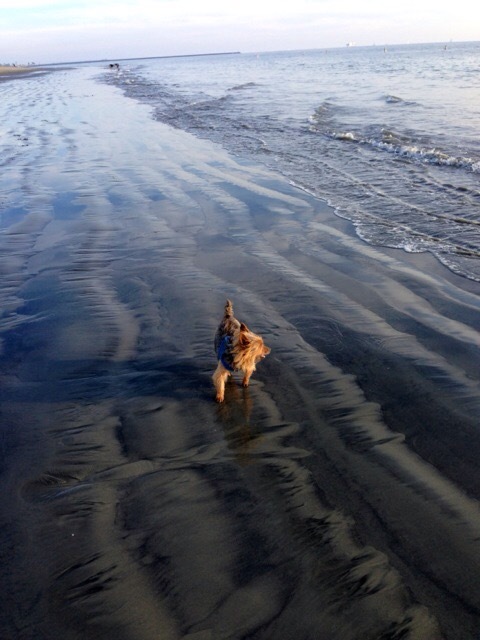 Bottom line, my furry son got to LEGALLY be on a beach where he ran his little heiny off and met lots of new friends. And that’s all that really matters!! 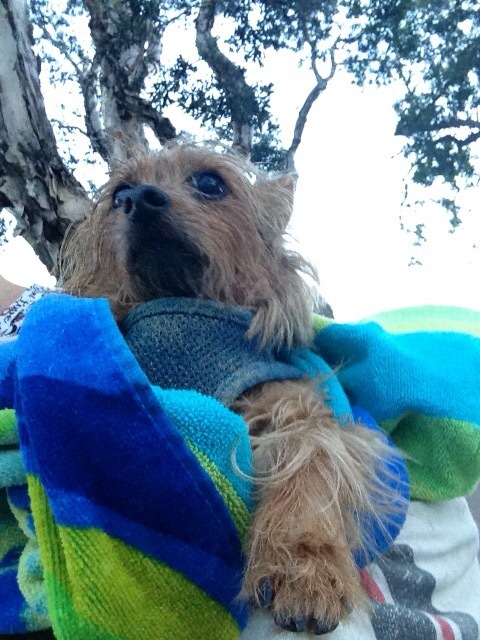 By the end of the day, Elliott was dripping wet, covered in sand and completely exhausted. That’s proof of a good day in my book! 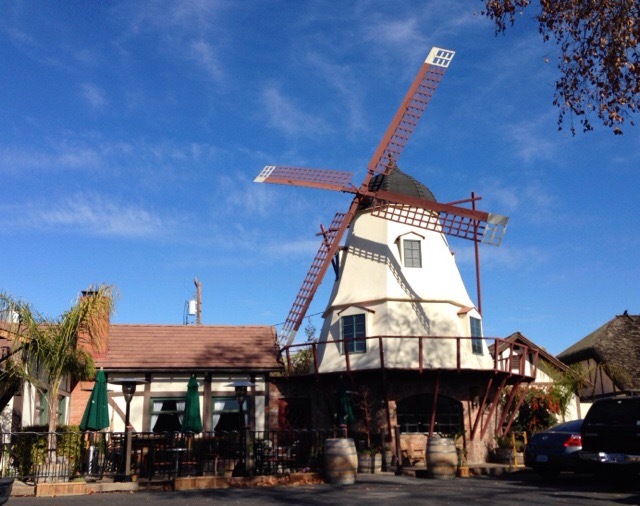 The Sal Paradise San Luis Obispo: If It’s Got My Name, It’s Gotta Be Good! 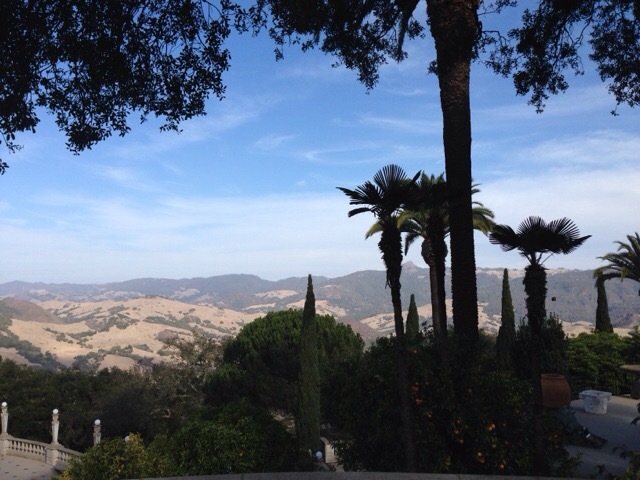 Visited my cousins in the adorable Central California town of San Luis Obispo and we decided it was a good day to have a picnic. Cousin Kayla knew just the place to grab some artisan style eats for the occasion. 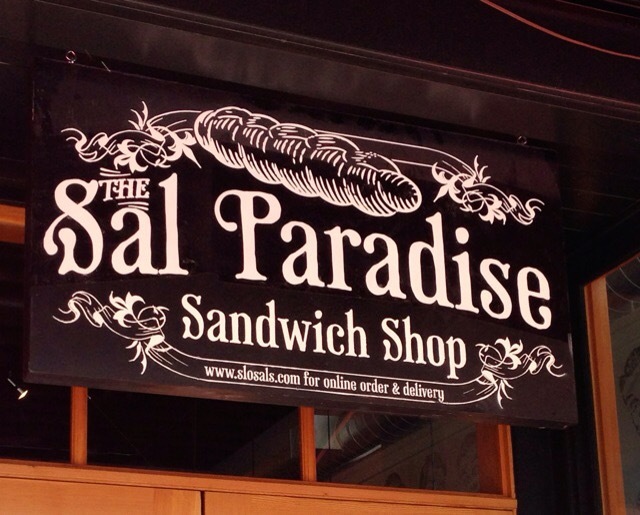 The Sal Paradise Sandwich Shop on Chorro Street in downtown. Very modern with an almost warehouse type feel to it but quaint at the same time. Seating indoors as well as a small dog friendly patio. Always a brownie point earner! The cool and friendly guy at the counter gave me a tip that if I couldn’t decide on a sandwich from the extensive list, just make up my own. And so I did! Turkey, chicken, Brie, pickles, tomato and lettuce with spicy mustard. Toasted. Thanks for the inside scoop, Dude. And might I say, my creation was AWESOME!! This place is like an edible art gallery of sandwiches. The people making the delicious concoctions are skilled masters in the art of food! No attitudes. No insane prices. Without a doubt I would return here again on my next visit to San Luis. Seriously delicious sammies with no added effort or drama. 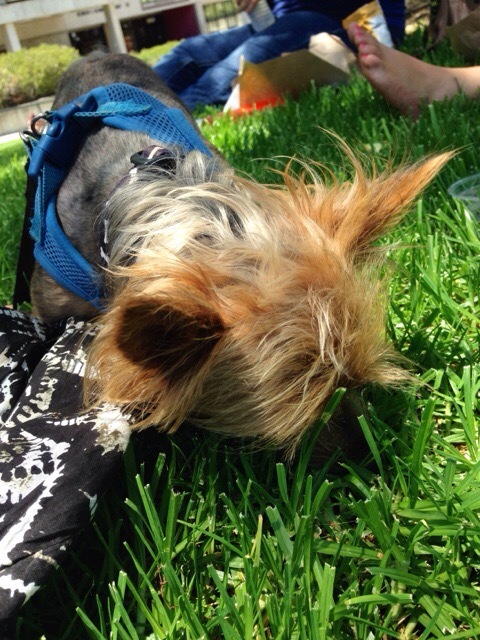 Elliott actually RAN OFF with a large chunk of my cousin’s lunch because the intoxicating aroma was simply driving him wild! He couldn’t help himself! Great food! Great memory! Sal’s is the place! 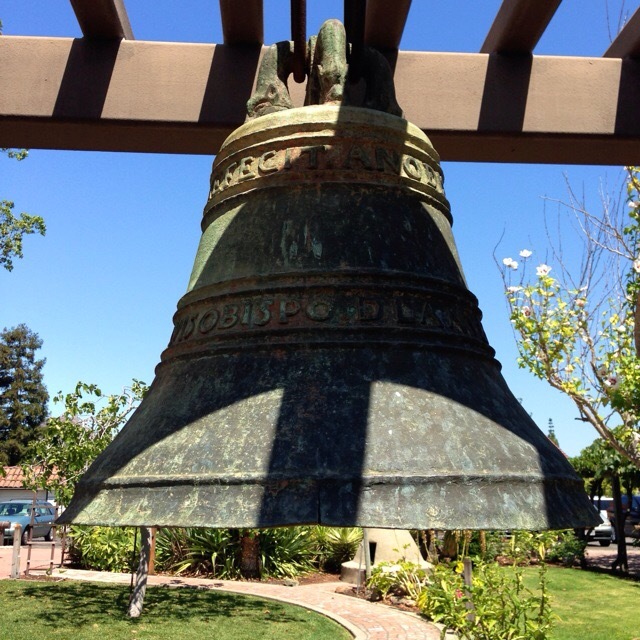 Oh the splendor and serenity of the California Missions! I have so thoroughly enjoyed getting out and about to experience these fantastic and picturesque structures for myself. 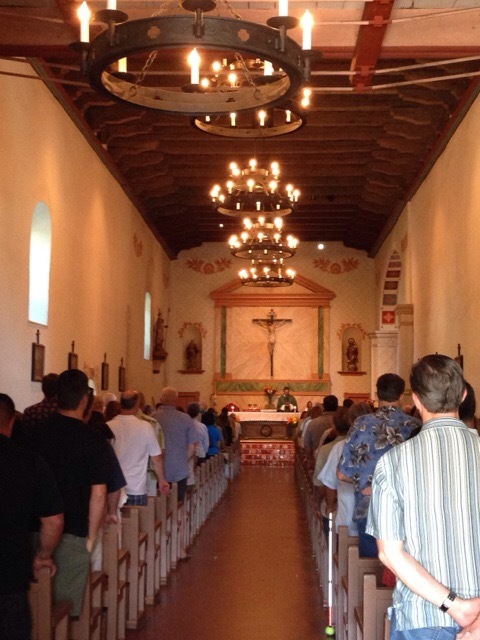 The San Luis de Tolosa Mission, number 5 of the 21 California missions, founded in 1772 by (my guy!) 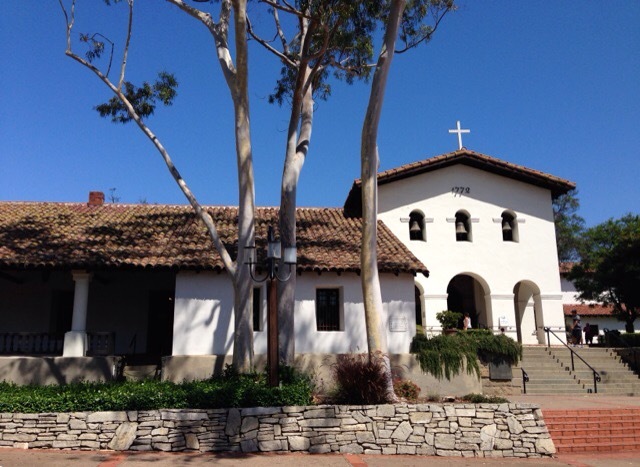 Father Junipero Serra, was sold by Pio Pico in 1845 for FIVE HUNDRED AND TEN DOLLARS, used as a battalion in the war with Mexico in 1846, and was eventually used as the first courthouse and jail of San Luis Obispo County before restoration finally began in 1933 to return it to its status as a Catholic Mission. 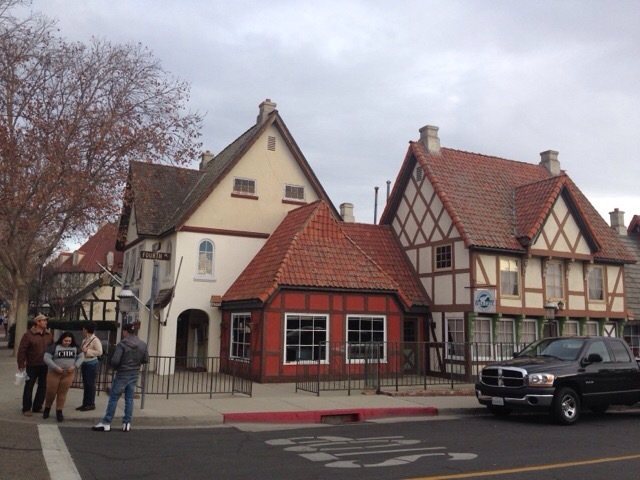 Interesting circle of events for this lovely, yet rather petite mission right in the center of downtown San Luis Obispo. 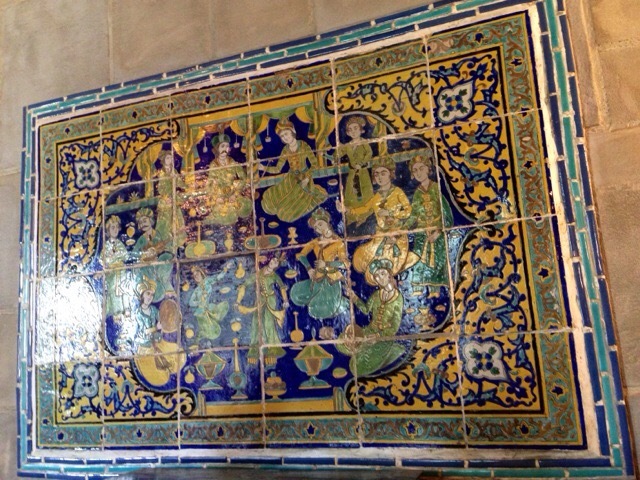 Full of wonderful artifacts and historical information to educate its countless visitors. 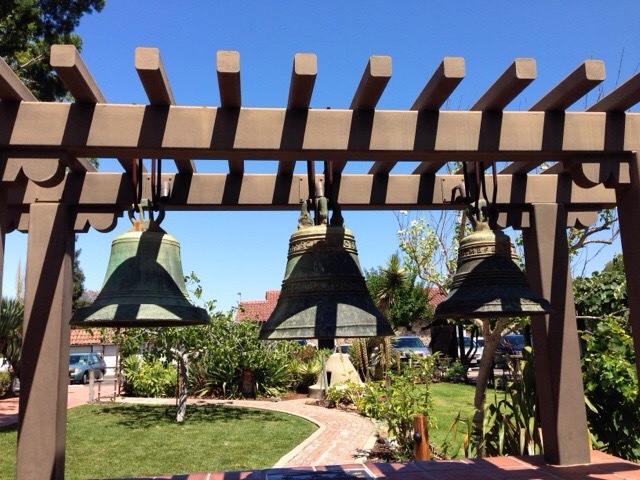 Stroll through at your own leisure, peek in to the sanctuary (even if there is a mass in service), spend time in the gardens out back and take a minute to admire the magnificent bells. Street parking is not difficult. 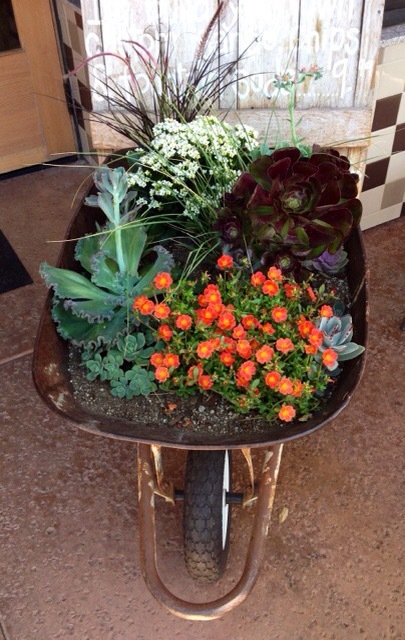 Add this one to your list! 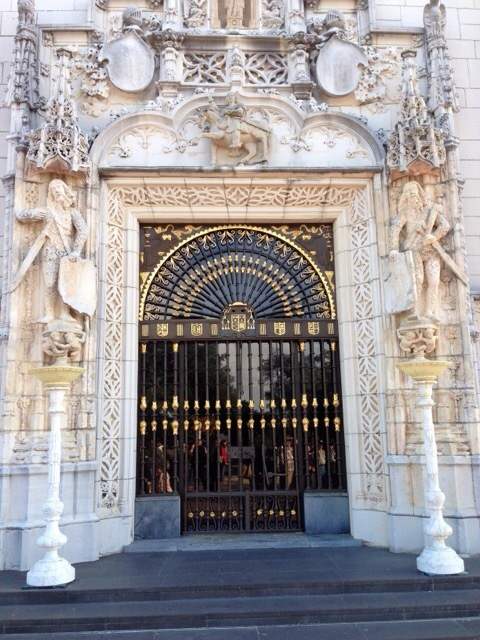 History, intrigue, opulence, magic… it’s all here! 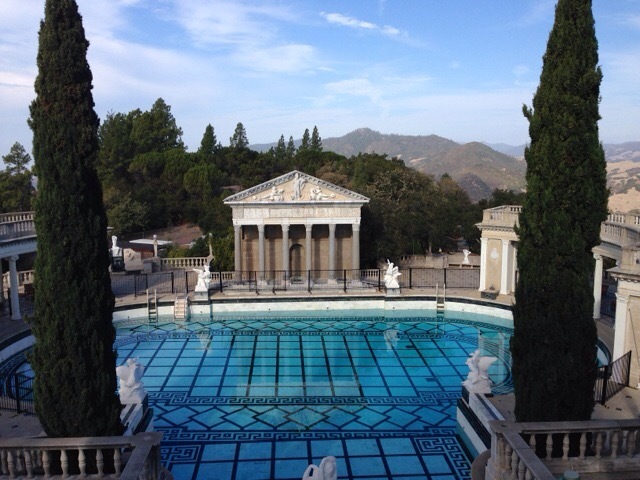 Thoughts from my visit to the exquisite Hearst Castle in San Simeon, California. 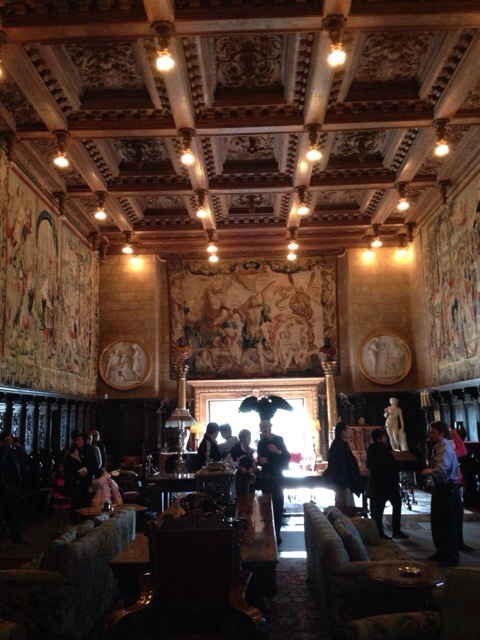 First time visitors should start with the Grand Rooms Tour, although there are several different sensational tours from which to choose. Expect to spend a bare minimum of 2 hours: Arrive at the Visitor Center 15 minutes before your tour time (book online for ease, convenience and to ensure your spot at the tour time of your desire.) 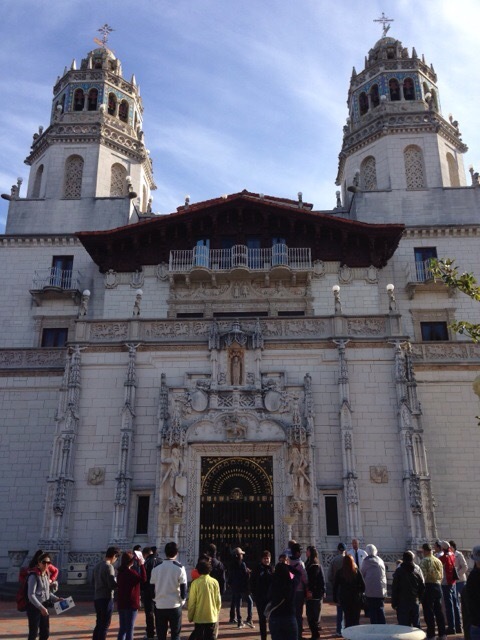 The bus ride up the hill takes approximately 15+ minutes and Alex Trebec’ voice fills you in on some of the history and facts about Hearst Castle. Tune in! 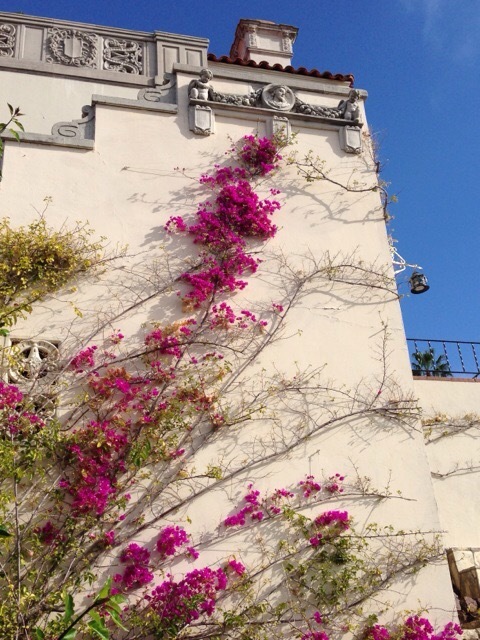 This monstrous castle (once referred to as “the ranch”) was built for William Randolph Hearst, newspaper mogul, in 1919 in hopes of having somewhere a “little more comfortable” to stay in than tents when he would venture up on the hill. 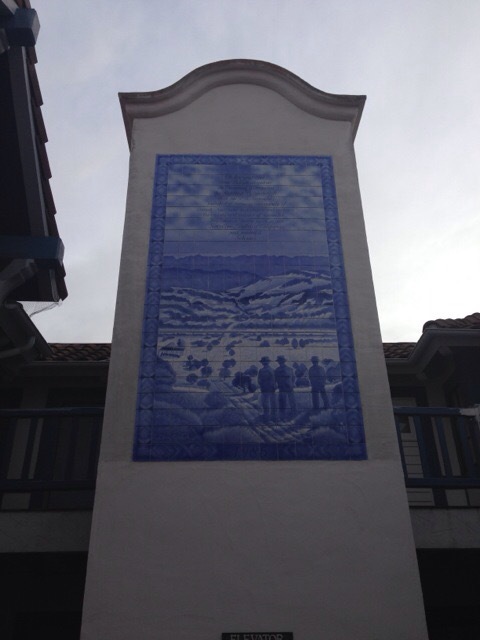 This became his home, a place where he lived and entertained his friends, dignitaries, and other A-list guests. Eventually this compound would house an airfield, power plant, tennis courts, swimming pools, gardens, movie theatre, and the world’s largest private zoo complete with exotic animals. Every single outrageously lavish detail was planned and thought out and the views are breathtaking! 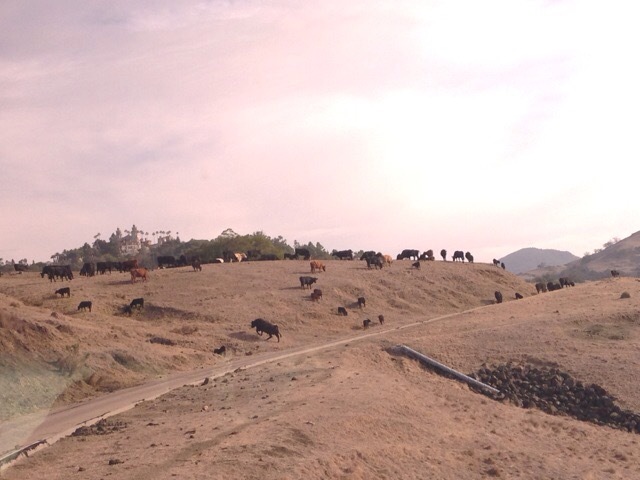 Cattle, bison and zebra dot the countryside as you look down at the coast and up at the castle at the top of the hill. 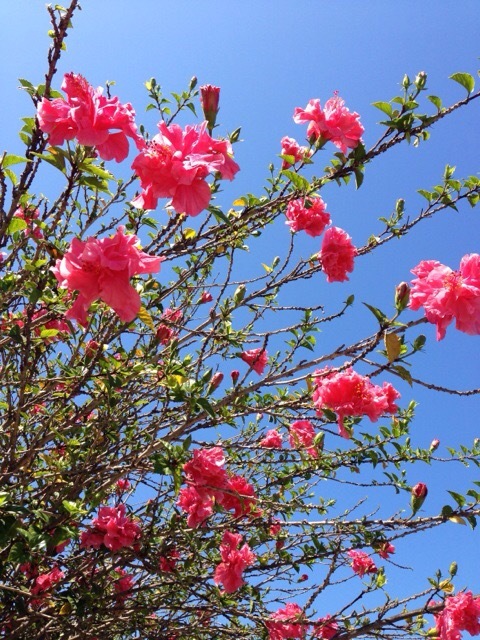 The tour will last about 45 minutes and then you can stroll around the grounds at your leisure to admire and take photographs. You can catch another bus to head down the other side of the hill, which will take another 15+ minutes. 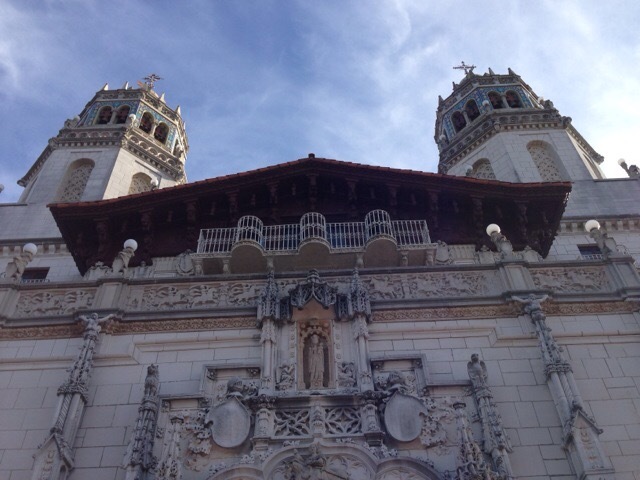 You may also want to spend some additional time at the Visitor Center watching the movie on the history of Hearst Castle (45 minutes – kind of IMAX-like for those of you who are “motion-sensitive” to such types of movies may want to skip this. Otherwise it’s a very cool and interesting movie to watch), as well as grab a bite to eat and peruse the gift shop full of really neat Hearst-related objects. 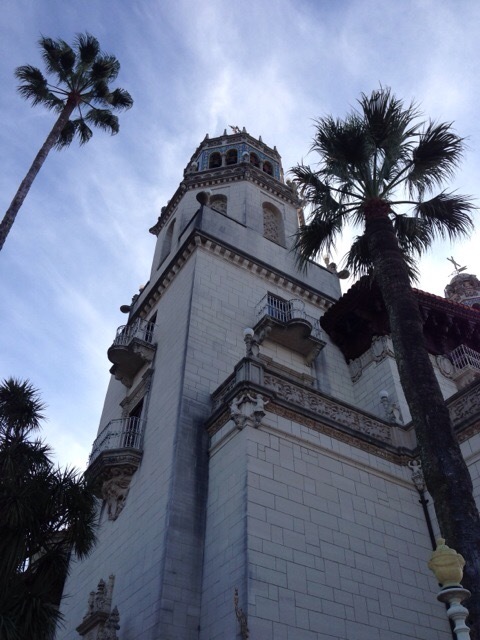 This castle and the man who created it….so fascinating! So over the top decadent! 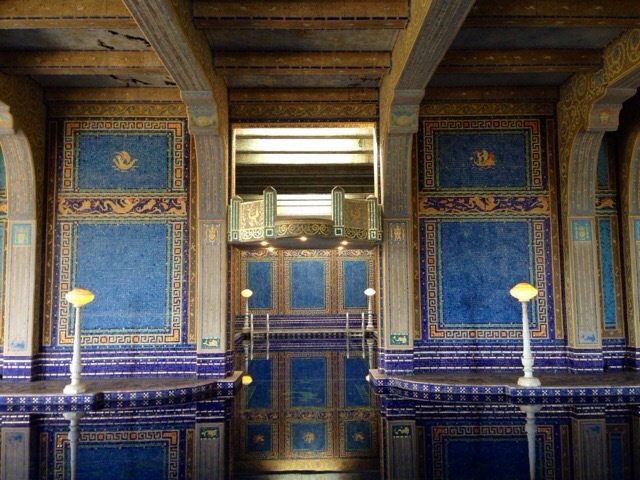 The indoor and outdoor pools are both mouth-wateringly inviting and splendid! 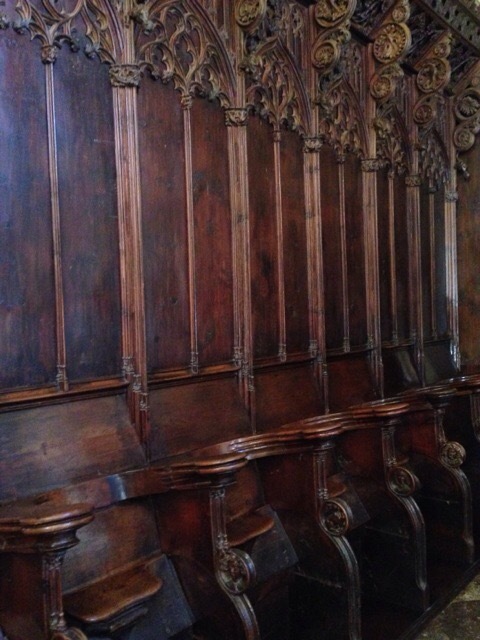 The collections of ceilings, choir stalls, religious art, light fixtures and mosaics. The different styles of decorating, design and furnishings from all over the world. It never ends. I think my very favorite part of the tour was at the end, sitting in the luxurious theatre, watching the old home movies from so many years ago. Watching legends like Charlie Chaplin and Clark Gable play in front of the camera. I loved loved loved it! Next visit I want to take the evening tour so I can fantasize that I am there as a guest of Mr. Hearst back in the 40’s or 50’s! I can’t wait! Spectacular!